Renowned actor of international repute Adil Hussain has been nominated in the best actor category for Norway’s top national movie award Amanda for his role in the film ‘What Will People Say’ by Iram Ha. In the story of ‘What Will People Say’, a critically-acclaimed film by director-writer Iram Haq, a first-generation Norwegian teen clashes with the traditional values and expectations of her Pakistani émigré parents. As per a report published by The Indian Express on Friday, the film is also nominated for the best film, actor, director and script. The award ceremony will take place on August 18 and Adil plans to attend it. 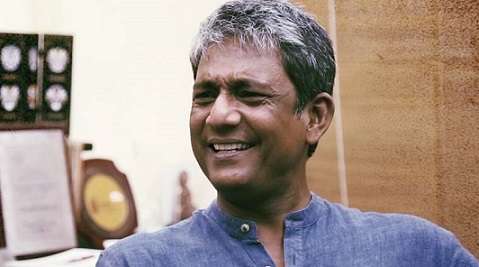 Adil Hussain, born and brought up in Assam, who played the role of a doting yet controlling father in the film, has already won the Kanon Award at Kosmorama film festival, which is Norway’s equivalent of the Academy Awards. The internationally-acclaimed actor reportedly said he really liked Haq’s style of storytelling and is happy to be recognised in the country. Stating that he has felt honoured after being nominated, Hussain in his Facebook account on Friday posted, “Very honored and delighted to be nominated for Norwegian National Awards – Amanda Awards – in the Best Actor Category in a Leading Role for the ‘What Will People Say’. He also stated that the award will be announced on August 18. “Awards will be announced on the 18th of August in Oslo,” Hussain mentioned in his FB post.